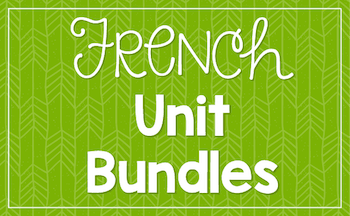 Teaching French vocabulary in a new unit can be really exciting or pretty boring. My students love learning new words and starting new units, but let’s face it : repeating vocabulary words from a sheet is not so fun for them. 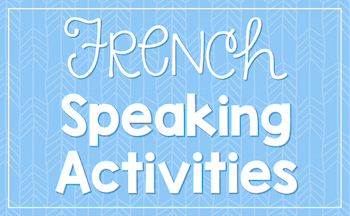 As the new year starts, we are either reviewing with our students who have taken French, or we are teaching French to students who have no vocabulary at all. Are we using the best methods to teach and review those new words? Here are some of my favorite ways to review vocabulary. Brand new beginners? 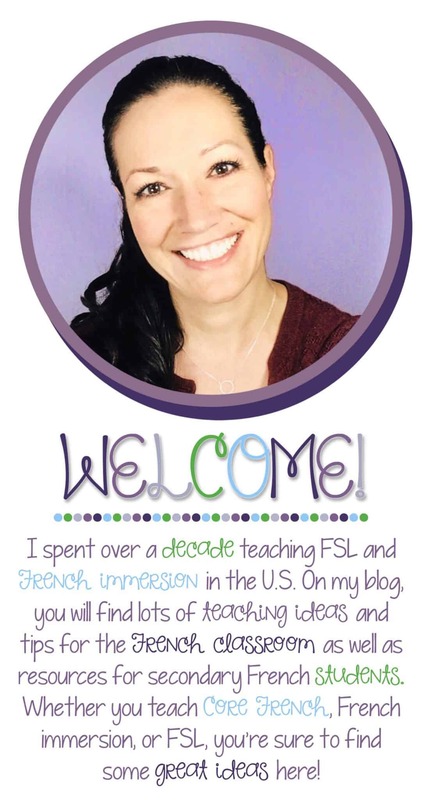 Read below for teaching tips! Write 5 themes on the board. Let’s say la nourriture, les vêtements, les sports, les adjectifs, and les animaux. Have students copy the 5 words down, making a column for each word. 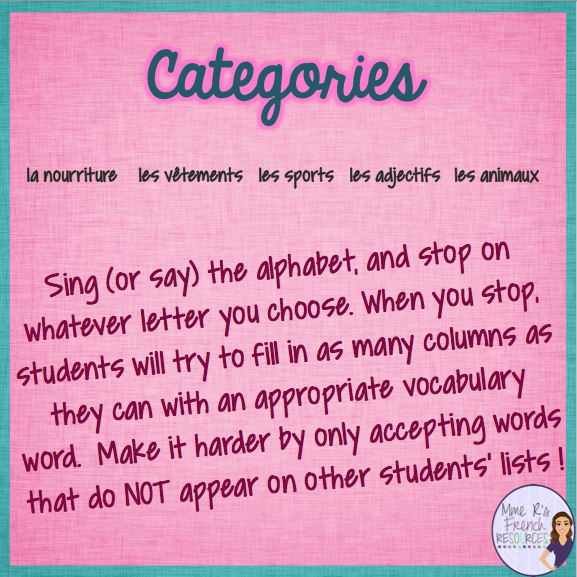 Then, go through the alphabet (I sing to make it even more fun, because they laugh at me…) On a chosen letter, you’ll stop, and students try to write a word for each category starting with that letter. I usually give students about 15-20 seconds to write, then I proceed through the alphabet. They’ll do the same thing for each letter until they complete all categories. The student who finishes first wins. 2. Teach them through context. This is much easier to do once students have a few words to make that context. 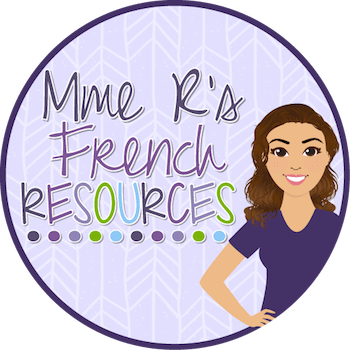 If you have a French 1 class, students can read together to work on pronunciation and comprehension, and they’ll pick up new vocabulary throught context. 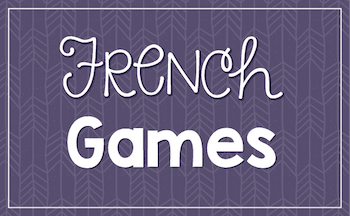 For French 2 students, reading activities are the perfect way to reinforce that French 1 vocabulary and learn some new words using context clues. And as FL teachers, that is a key learning standard everywhere that I know of! 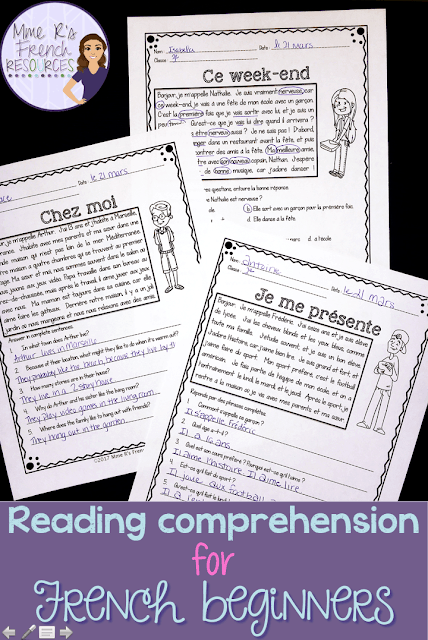 These reading activities are a perfect way for first and second year students to review, reinforce, and learn even more words. They each have three levels of questions, with English short answer questions and French multiple choice and short answer questions, so differentiating is so much simpler! Okay, not really, but it seems like it. We do this a lot with writing prompts, round robin stories, and discussion questions, but it works great with vocab. Simply give students a topic, give them 1 minute, and have them write every vocabulary word they can that relates to that topic. Then they ball up their papers (like snowballs) and toss them. Everyone grabs a new piece of paper, reads the words, and adds any words they can. After a few rounds, you can go through the words together. It’s really fun, it takes just a few minutes, and it gets them moving, which is so important! 4. 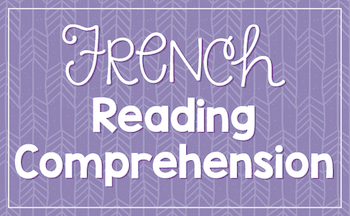 Immerse them in French. If you aren’t an immersion teacher, you probably find that this is easier said than done. It’s super-easy to use English to communicate, but it only hurts your students in the long run. 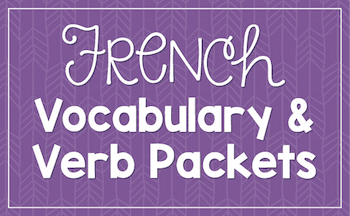 So, use as much French as you can, and they will pick up so many words along the way without having a formal list. Want to get ideas for how to use more immersion? Read THIS BLOG POST. If you’ve been following me for a while, you know how much I love music in class. As a teacher, it is more fun for me. As a mom, I see how effective it is for my son when he is in a music-based classroom. (And he loves it!) Want some song ideas for secondary classes? Read THIS BLOG POST. Have littler ones? Check out Mme Angel’s song list for primary French immersion. My son listened to a lot of these in kindergarten. Teach brand new beginners? Try introducing new words using one of these methods. 1. Use a lot of cognates, synonyms, and antonyms. This will help you stay in the target language as much as possible. Students won’t struggle with cognates, and once they have a few words in their vocabularies, you can introduce synonyms and antonyms to easily increase their vocabulary quickly. It feels silly to be so expressive, but it works! Instead of translating everything, show them, or have them show you. Want to introduce a new verb? Act it out! 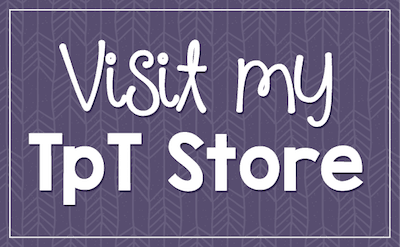 TPR is especially helpful when you are teaching commands, body parts, or introducing verbs. As much as you can, have real-life objects on hand. It is so much more engaging, and real-life experience is what is going to help students remember words. Words on a vocab list? Helpful, necessary, but not effective. Collect any items you can from your units and look for somewhere good to store them! Hang word walls and posters in your room and use those to present new vocabulary. They make great reinforcements, but you can use them to introduce and reinforce the words. 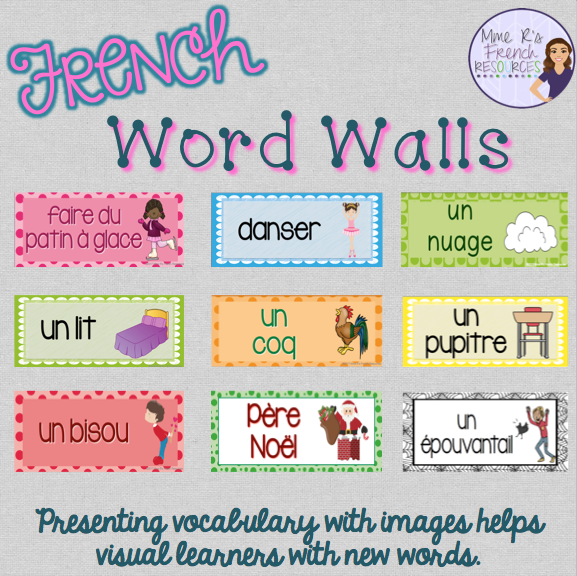 Find French word walls HERE. 5. Have students read the words with partners. Hope some of these ideas will help you as you review and introduce new vocabulary this year!